Eva Longoria and husband José ‘Pepé’ Baston welcomed their baby boy, Santiago, on 19 June. The couple have just debuted their little guy in a cover spread for Hola! USA magazine. Santiago is obviously a very clever and gregarious boy. He’s pictured waving to the camera as a delighted Eva grins widely. 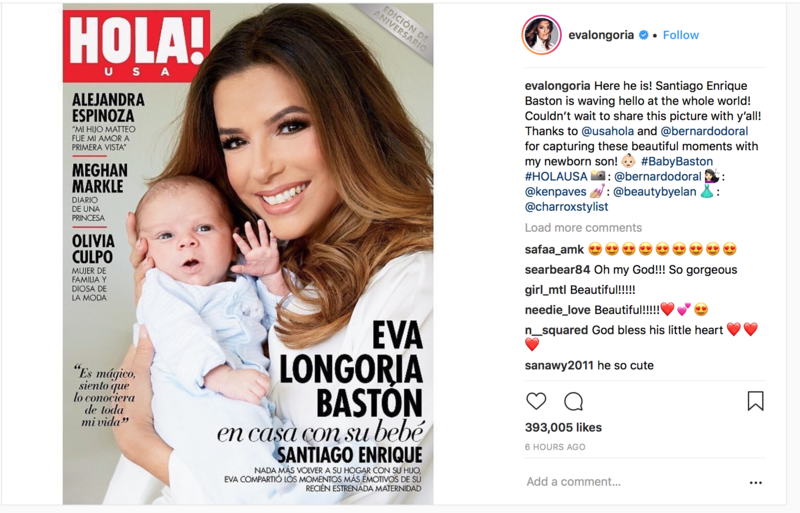 “Eva Longoria opens the doors of her home and adorns our cover to introduce us to her beautiful baby: Santiago Enrique … Eva shares for the first time the most significant moments of motherhood and photos of her beautiful baby,” Hola writes (translated from Spanish). 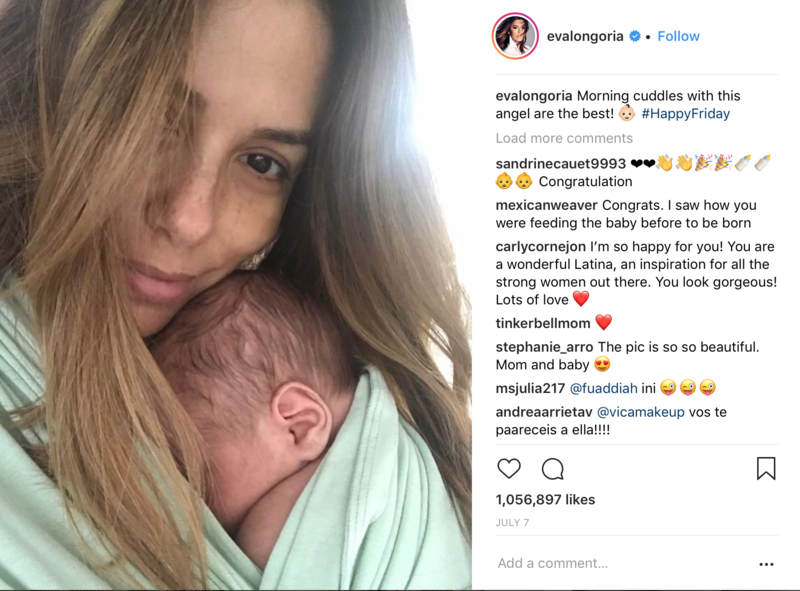 Eva recently sparked a hilarious exchange when she shared a photo of herself cuddling an obscured Santiago and tagged fellow mum Chrissy Teigen in her caption. “Hey @chrissyteigen is this the official hairstyle of breastfeeding? 😂 I feel like I’m always in a messy top bun! Too hard to do anything else! #MomProblems#BabyBaston” she posted. Chrissy Teigen’s dad Ron hilariously replied. Chrissy promptly shared her dad’s tweet with followers, captioning it “ummmmmmmmmmmm”. She then tweeted back to Eva to confirm that “messy hair don’t care” is a proper mum thing. “One, you look incredible and mom buns are life. Two, I’m sorry for my father,” Chrissy wrote. “Aw thanks Chrissy, and I love your father already, I know my demographic!” Eva responded. Aw! All of the dad-LOLS!